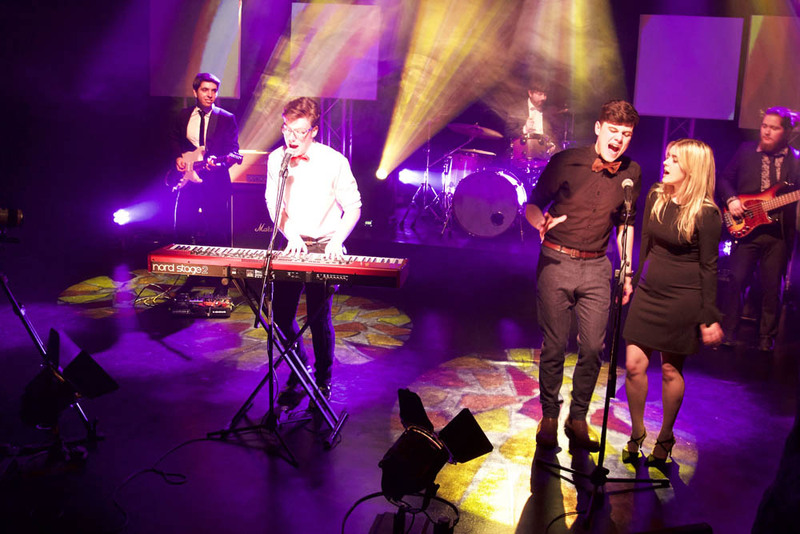 Bridges are a fresh and exciting six piece band that covers all your favourite songs, ranging from modern day hits with some all-time classics to guarantee your guests a night to remember. 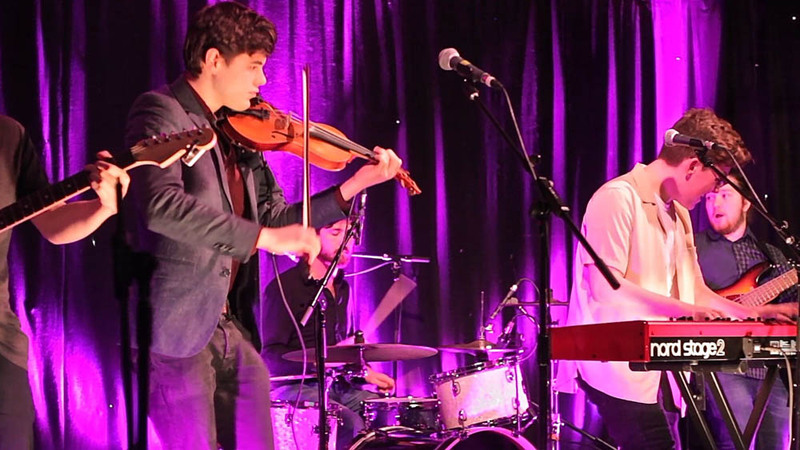 Bridges are a professional 6 piece band comprising of highly experienced, versatile and talented musicians. With an average age of just 25, they have between them travelled all over Europe and the UK and worked within almost every sector of the music industry, including both studio & live engineering, record production, events management and private tutoring. Bridges formed whilst studying a Bachelors Honorary degree in Music at Napier University, in Edinburgh . All members are multi-instrumentalists with the ability to play at least 2 separate instruments to a high standard as well as having a strong and versatile vocal ability. 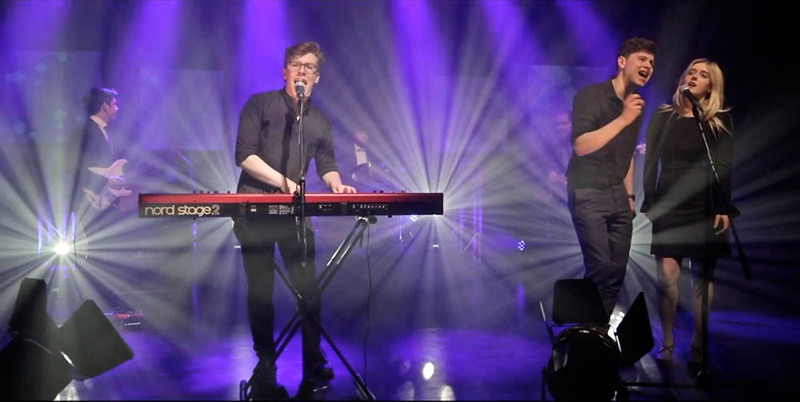 Their combined performing experiences has seen them working in many different original and cover bands, cabaret acts, , musical theatre productions, as and as session musicians covering live, studio and TV platforms. With such a versatile and diverse range of songs ( their song list is extensive) , Bridges are able to adapt to any situation and their vast knowledge, talent and experience provides everyone with an energetic and enjoyable performance for those who like to sit back and enjoy the extreme level of musicianship or for those who like to interact, sing, dance and party the night through. Their lively, charismatic stage presence makes them one of the most exciting and enjoyable bands in Scotland to hire, guaranteeing a memorable and explosive experience for any wedding, corporate event, university ball or black tie event. Bridges can also provide a full traditional ceilidh set led by Charlie West, an accomplished fiddle player. The band can do as little or as much live ceilidh as you want, its your night so you can decide this . Don't worry if you or your guests are unfamiliar with the art of ceilidh dancing, their lead singer Heather will take you through the dances...step by step. Bridges will also learn first dances and special song requests and as they have 3 very experienced male and female vocalists in the band they can cover almost anything .The band can also provide dj packages upon request and play background music during your buffet. We hired Bridges for our wedding asking them to perform some celidh dances, our first dance which they learned for us, and the their standard set list. From start to finish Bridges were absolutely fantastic. They we... James Walkinshaw, Blairgowrie, Perthshire, PH10 7JD.